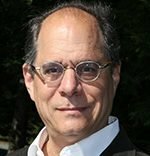 Mitch Leventhal, Ph.D. - Academic Assembly, Inc.
Dr. Leventhal has spent a career as a successful entrepreneur as well as an internationally renowned higher education administrator and expert on global higher education. He currently holds an appointment at the University at Albany-State University of New York as professor of professional practice and entrepreneurship in the School of Education. Prior to his current appointment, Leventhal served as vice chancellor for global affairs at the State University of New York system administration (with responsibility over 64 institutions and more than 600,000 students and 90,000 faculty) and as vice provost for international affairs at the University of Cincinnati. Mitch Leventhal has long been an advocate for reform of US recruiting practice, development of new financing paradigms in support of internationalization, creation of improved technical systems to support comprehensive internationalization, and deeper and more creative approaches to engagement with corporate partners. As founding chairman of the American International Recruitment Council (AIRC) Leventhal developed a new standard development organization which provides the world’s first rigorous certification process for international student recruitment agencies. This effort led to widespread changes in international recruitment practice in the United States. He has also has served as senior advisor on academic affairs to the United Nations Global Compact (UNGC), where he headed a global academic working group which is developing an implementation and reporting framework so that higher education institutions can adopt UNGC principles with the same efficacy as corporations. Dr. Leventhal has founded (or co-founded) several private sector companies, including: Planet Payment (NASDAQ: PLPM) – a global multi-currency payments company; Technology Exchange (TechEx) – a Yale University spin-off to facilitate technology transfer between research institutions; and, Microstate Corporation – an Internet solutions company which specialized in Internet solutions for the financial services industry. Dr. Leventhal has been recognized by the Chronicle of Higher Education as one of the leading “Innovators in Internationalization” for his work at the University of Cincinnati. Dr. Leventhal earned his doctorate at the University of Chicago, where he focused on the nexus between entrepreneurship, medical education and development in the Caribbean. He earned his bachelor’s and master’s degrees from the University of Pennsylvania.